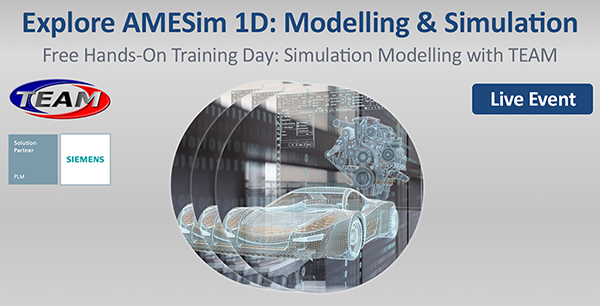 Explore Simcenter AMESim – Get hands on, technically supported experience with us. At our event, a laptop will be provided to every attendee to follow a light ½ day training session. You will build a hydraulic circuit and add some control then explore how slight changes to diameters, temperature and valve rates can greatly effect the stability of your design. The afternoon will consist of a surgery also where you can bring your own system and our engineers will review them and help support you through any developments or challenges you may have.